Adtechfiber Communication Co.,Ltd , is a customer-driven growing company having their Registered office in Hong Kong and manufacturing and International marketing facility in Shenzhen, China. 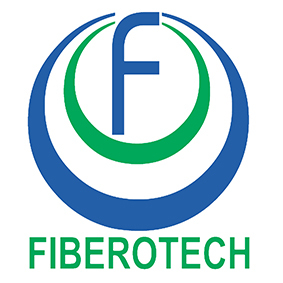 Adtechfiber is specialized in manufacturing Fiber Optic and Network Assemblies under the brand “ADTECHFIBER” & ” FIBEROTECH”. Over the years, we have been supplying optical fiber and connectivity products to various OEMs worldwide like SIEMENS, Honeywell, ABB etc., as per their quality standards on demand. Our combination of engineering support, international quality standards certification, on-time delivery, and competitive pricing made us strong partners to all segments of industries worldwide. Innovations, professional service & excellent quality control continuously exceeds customer expectations by meeting the most unique and demands emerging from the world market. Our products are being exported to all over the world, developed, developing and un-developed countries in various brand categories. All of our products are fully tested as per international quality standards, which are exported to all over the world and receive the good reputation from our customers. Our quality products are widely used in various fields: Telecommunications/Optical Fiber Communications/Networking Integrator Systems/ Security Systems/CATV Systems/Data / Voice Transmission/Gigabit Ethernet/FTTx (Fiber To The Building/Home/Desk etc)/Engineering & Project Contractors/Premise Network etc. In order to serve our customers efficiently and professionally, we have our dedicated sales personnel and our production unit can respond rapidly to large or small orders for any optical fiber in the following category:Fiber Optic Outdoor Cables /Fiber Optic Indoor Cables/Fiber Optic Patch Cords/Fiber Optic Pigtails/Fiber Optic Connectors/Fiber Optic Adapters/Fiber Optic Patch panels/Fiber Optic Splice Enclosures/Fiber Optic Media Converter/SFP / SFP+ / XFP Transceivers. As customer-oriented company, we understand deeply that , the excellent quality is the lifeline of a company. We continuously effort to serve our customer the best towards this objective. We are confident our professional service will provide you with the most cost-effective alternative available. We are committed to helping you deploy the most efficient solutions at the lowest overall cost possible. To help our clients to get industrial grade fiber optic products according to their requirement is our primary aim.